Portugal is extremely well-known for having a coastline full of magnificent beaches both on the islands than on the mainland, and inland. Take a look at the list of accessible beaches, from North to South of the Country, Azores and Madeira in 2016, choose whichever you want and enjoy !! The National Institute of Rehabilitation has already made available the list of beaches accessible for the year 2017. 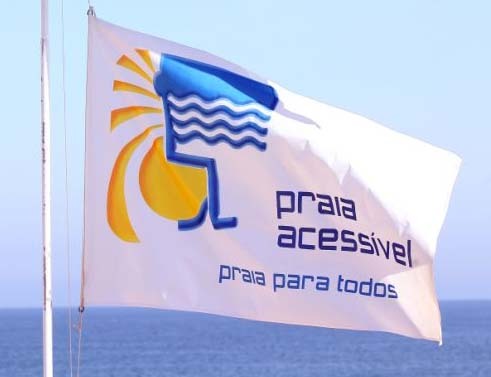 All the beaches present in this annual list were awarded under the project “Accessible Beach, Beach for All”, which shows the beaches that bring together the various beaches Conditions to be considered accessible. Please , be careful and choose beaches whose have already life guard assistentce. The Program “Affordable Beach, Beach For All” initiative celebrates this year 10 years. It is the fruit of the partnership between several institutions National Institute of Rehabilitation, Institute of Water, Tourism of Portugal and Institute of Employment and Professional Training. In Portugal the Bathing Season does not start equally in the whole country. The municipality of Cascais is the first to open the summer season on 1 May. Gradually the entire process will be completed on June 15, the official start of the new Bathing Season.